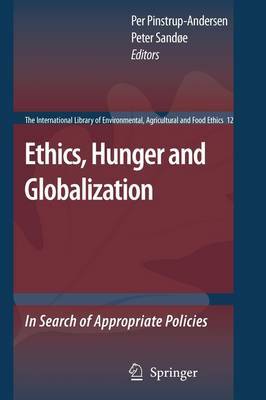 This unique book adds an ethics dimension to the debate and research about poverty, hunger, and globalization. Scholars and practitioners from several disciplines discuss what action is needed for ethics to play a bigger role in reducing poverty and hunger within the context of globalization. The book concludes that much of the rhetoric is not followed up with appropriate action, and discusses the role of ethics in attempts to match action with rhetoric.